Cut each of the side rails to size, clamp the stock face up to a work surface, and saw the curves at the front end (photo, above). 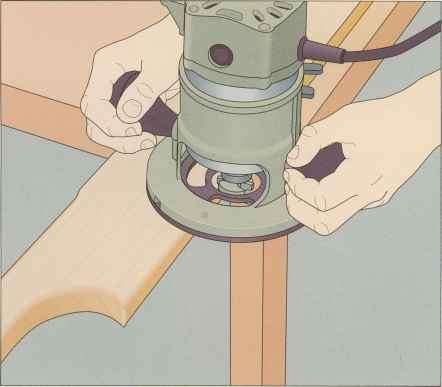 Then install a piloted round-ing-over bit in a router and make each pass by feeding the router along the edges of the rail, pressing the bit's pilot bearing against the stock throughout the cut (right). Reposition the clamps as necessary. Turn the rail over and repeat on the other side. Vk inches from the front end of the rail. Make sure the marks are in the same location on both rails. 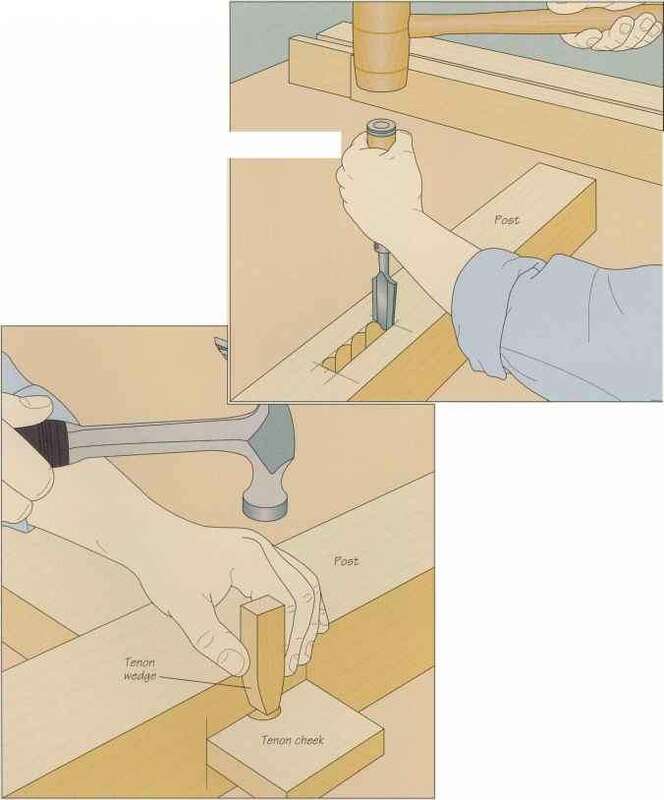 Holding the drill vertical, bore the hole (above), stopping when the body of the bit is completely recessed in the wood; this will yield a ^-inch-deep hole. 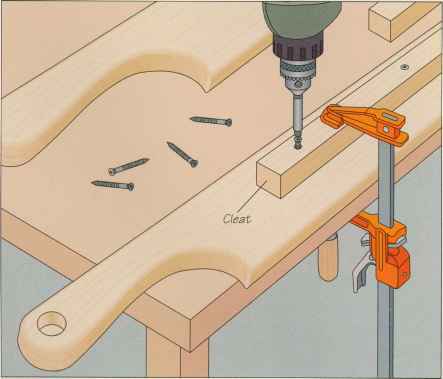 To position the cleats on the rails, mark a line along each rail's inside face VA inches from the bottom edge. Starting 2 inches from one end of the cleat, drill a clearance hole every 8 inches along its length. Then apply waterproof glue on the inside face of the cleat and position the stock on the side rail, aligning the back ends of the pieces. Anchor the cleat in place, holding the strip so its bottom edge is flush with the marked line on the rail as you drive each screw (left). Work from the back of the cleat to the front.